Max Life Insurance, one of India’s leading life insurance companies, today announces the launch of a string of three new TVC’s with the tagline “Policy dene ke baad humara rishta khatam nahi, shuru hota hai”. The TVC’s that will go on air today are an extension of the company’s brand campaign ‘Aapke Sachche Advisors’, which aims to highlight Max Life’s commitment to superior post sales service . The TVCs re-emphasize Max Life Insurance’s brand promise on quality of advice, honesty and transparency in services, which is reflected through the practices followed by the company’s agent advisors. She further added, “Our new TVC’s are thus aimed at establishing a deeper bond with the life insurance industry audience at large. Through these ads we also seek to reinforce the idea of importance of identifying a reliable company, evaluating the correct selling behaviour and service orientation of agent advisors when seeking to buy life insurance products”. Abhijit Avasthi, National Creative Director, Oglivy and Mather Said, “Through this campaign Max Life Insurance has taken the brand philosophy of "Sachchi Advice" to the next level by highlighting on their commitment towards the customers. The Agent-Devil format worked wonders for the brand in last campaign and we are sure that this time again, with the freshness brought in by lady devil & agent and new situations, it will bring that smile back on our audience’s faces and an even deeper trust on the brand”. The first TVC highlights the Max Life Insurance promise towards settlement of claims within 10 days. Here a customer is seen reflecting aloud his concerns on claims to a Max Life Agent Advisor. While the agent advisor explains Max Life’s promise of claims settlement in 10 days from receipt of documents and an entitlement of interest payout in case of delay, the devil tries to lure him to lie to the customer about it. However, the agent keeps the best interest of the customer first and confidently shares the correct details with him. 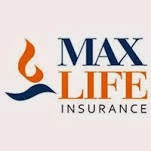 The second TVC also focuses on the quality of services delivered by agent advisors of Max Life Insurance. Here a woman agent is seen sitting in a beauty salon when her phone rings. As she reaches out to pick up the phone, a devil appears and tries to stop her from doing so as it is a Sunday. However, the agent answers the phone and speaks to the customer who wants to enquire about the procedure for change of address. The devil continues to distract the agent, while the agent advisor asks the customer send the papers to Max Life Insurance and volunteers to take it forward from him. The TVC highlights the extent to which Max Life agents are committed to their clients and reflects their eagerness to make themselves available whenever needed. The third TVC showcases the self-discipline and initiatives taken by Max Life Insurance to develop a relationship with their customers. Here an agent is seen delivering a policy by hand to his customer. The customers asks the agent that why did he come in person when he could have posted the policy to him. A devil appears and makes fun of the agent saying I told you to do so. The agent pays no heed and politely replies to the customer that it’s his duty to explain the customers' rights to him in person, which a postman could not have done. He also shares with the customer that the policy can be returned within 15 days if he doesn’t like it. The devil tries to stop the agent but the agent continues to do his work in complete honesty. Creative Agency: Ogilvy & Mather Pvt. Ltd.